It's all go and all action at Craig Tara - you'll just love the multi-thrilling, multi-level indoor pool complex on a Park equally big on activities and entertainment. But all of this action doesn't detract from the Park's gorgeous setting just south of Ayr. The views and sunsets over the Isle of Arran are stunning! Fill each day in just your own way - maybe a character breakfast followed by a round of golf? 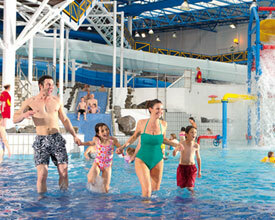 Or spend the morning in the Multi-Level Pool Complex with Flumes and Slides. For lunch take your pick from the Mash and Barrel, Papa Johns, or traditional fish and chips, before trying out the Climbing Wall with Abseiling, exploring Ayrshire or relaxing with a game of Ten-Pin Bowling. Still have energy? Head to the ShowBar for a drink, live music and dancing. Whether out and about or staying on Park, you're sure to have a great holiday at Craig Tara. 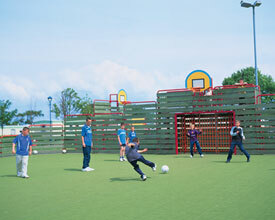 Craig Tara Holiday Park offers the following facilities. Directions From North: Take the A77 towards Stranraer. Then 2nd right after Bankfield Roundabout, south of Ayr. At Doonholm road take a left, then right into Greenfield Avenue. Left at next junction and then follow Craig Tara signs. Ayr close to Craig Tara is the largest of the Clyde Coast holiday towns, and lies in the centre of the famous Firth of Clyde playground. 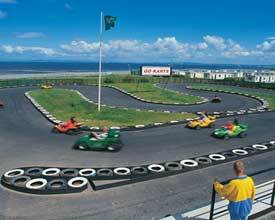 Visit the Ayrshire coast's sandy beaches, castles, towns and villages. Situated on the Isle of Arran, Culzean Castle is home to some stunning views that will take your breath away and is only a ferry ride from the mainland. Often described as the 'Jewel in the Crown' for the National Trust of Scotland. Designed by Adam in 1777, it offers history, romance and culture in a stunning package. 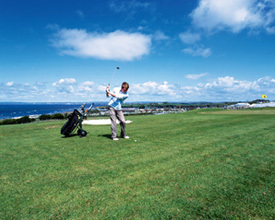 The region is famous for its historic sites, the birthplace of Robert Burns and championship golf courses. 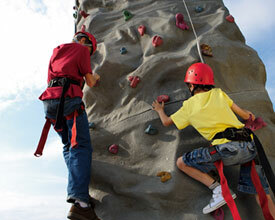 There's no finer choice for families looking for outdoor pleasures or non-stop fun. Enjoy Scotland's picturesque Border country, its lowlands and highlands and not forgetting the historic grandeur of Edinburgh. Here's where you can simply admire the views or venture and explore further a field. Perhaps go walking or cycling for a restful holiday experience. 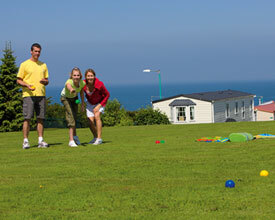 Haven offer you comfortably the widest choice of Caravan Holiday Homes. Rest assured, even our very best value group Self-Catering accommodation includes a shower room and toilet, colour TV, fully fitted kitchen and all gas, electricity and hot water, making it the ideal choice for your family holidays. Outstanding quality fittings and interior design for stylish living, even more spacious, central heating, double glazing, flat screen TV & DVD. Our newer, more spacious 12ft wide Holiday Homes. High quality interiors and luxury. DVD & microwave oven. Priority check-in. 12 ft wide homes providing 20% more space and bigger bedrooms. Higher specifications furnishings and fittings. Microwave oven. excellent value. Quality and comfort - Standard PLUS are fully equipped to a high standard offering comfortable family accommodation. Pets welcome. Offering extra value for money fully equipped and well furnished. Providing you all you need for a relaxing carefree holiday. Pets welcome. Holiday Homes which have been specially adapted for wheelchair users with assistance. Adapted grades of homes vary from Park to Park. 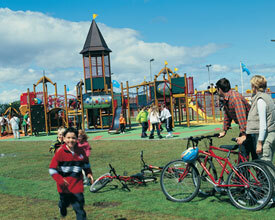 Our Apartment accommodation remains highly popular, especially with large and extended families. This is Haven's value option. Spacious 2 bedroom Self-Catering Apartments are ideal for families who prefer a more home-style layout. Most are on one level, but some have stairs to bedrooms on an upper level. Experience high levels of comfort and choose from 2 and 3 bedrooms, all fully equipped and well furnished. Offering extra value for money fully equipped and well furnished. Providing you with all you need for a relaxing carefree holiday. Pets welcome. Our Dinner, Bed and Breakfast accommodation offers you a really relaxing alternative. Simply enjoy the continually varied choice of eat as much as you like, buffet style breakfasts and 3-course evening meals, served in our bright and family-friendly restaurant. 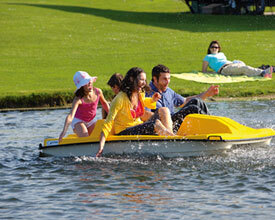 With the freedom to enjoy lunches or picnics either on or off the Park, for a really easy going, free-wheeling holiday. Our 2 and 3 bedroom accommodation offers a choice of twin, double and family bedrooms. 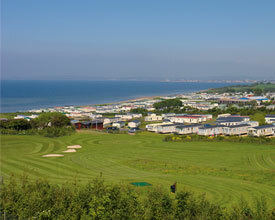 Have you been to Craig Tara Holiday Park? Please submit your review so that others can benefit from your experience. Important note: Information provided here about Craig Tara Holiday Park is based on our best knowledge. However, please check with Craig Tara Holiday Park before booking to ensure that you have the information required. 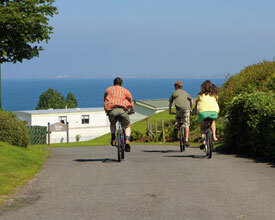 Reviews are the sole views of the contributor and do not necessarily represent the views of CampsitesandCaravanParks.com or Craig Tara Holiday Park.